Movement and cognition are closely entwined, and movement can enhance thinking and learning. Sir Ken Robinson did a TED Talk on Schools Killing Creativity. He told the story of Gillian Lynne, a school girl whose parents were told she may have a learning disorder because she was fidgety and couldn’t concentrate. They sent her to a specialist. She restlessly sat on her hands while the doctor and her mother spoke of the problems Gillian had at school. The minute the doctor and mother left the room, Gillian recalls coming to her feet and moving to the music. The adults watched her for a few minutes from outside the room. Humans need movement, each in their own way. Learning and well-being are improved when people have a sense of control over their lives. Make a list of work assignments for the day and have them create their own schedule. Keep a basket in the refrigerator of healthy snacks for them to choose from. Create a basket of pre-selected (high quality) books for them to choose from. People learn better when they are interested in what they are learning. Fill a basket with oversized, ‘coffee table’ books from the library. These tend to be filled with beautiful, inspiring photography that will spark conversation and interest. Create a lapbook or unit study around a favorite hobby, period in history, musician, author or animal of your child’s choosing. Love letter writing? 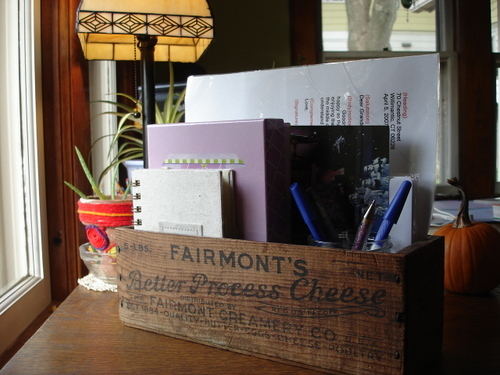 Create a letter writing station or box for kids to help themselves. Be sure to include everything needed: stationary, pens, stamps, address book, (laminated) copy of a properly written letter. Tying extrinsic rewards to an activity, like money for reading or high grades for tests, negatively impacts motivation to engage in that activity when the reward is withdrawn. This challenges normal practice for many of us. I don’t feel inclined to hand out money or treats for every job well done – but there is a pass/fail, win/lose mentality in our culture, and the older a child gets, the more they become aware of that. To be honest, I’m working on this one. Collaborative arrangements can be very conducive to learning. Into film making? Gather with friends to make a short film. Learning situated in meaningful contexts is often deeper and richer than learning in abstract contexts. Make homemade yogurt rather than talk about how their favorite yogurt is made. Learn about flora and fauna with field guides in hand and an afternoon trek through the woods. Take a morning trip to the grocery store with a budget and menu plan. Play with science by making homemade lip balm, soap, or natural remedies. Particular forms of adult interaction are associated with more optimal child outcomes. Have Week In Review meetings with your kids, individually if possible . Children can partner with you on designing a garden, rearranging furniture (design), or reviewing curriculum choices for the coming year. Collaborate on literature list for next year. 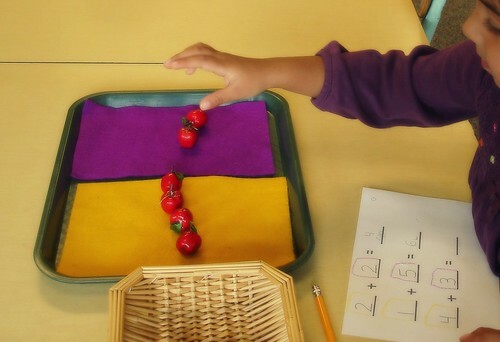 Order in the environment is beneficial to children. Maintain an art shelf with easy to access projects that rotate from week to week. Keep your learning environment clear of clutter. Adopt “10 Minute Tidy” period at the end of the day. Some families find workboxes to be helpful. These principles can provide a helpful map to those in need, or simply a source of inspiration. Order the new MJM Academy Apparel by Nov 6th! Ready to set up a tour? Fill out an inquiry form and set up a tour this week! Click here for an e-packet or book an appointment now!